Rather than a showcase, we designed a communication tool for the gallery. Thanks to a modular interface inspired by video game menus, we conceived the main page as a mix between a dashboard and a billboard. 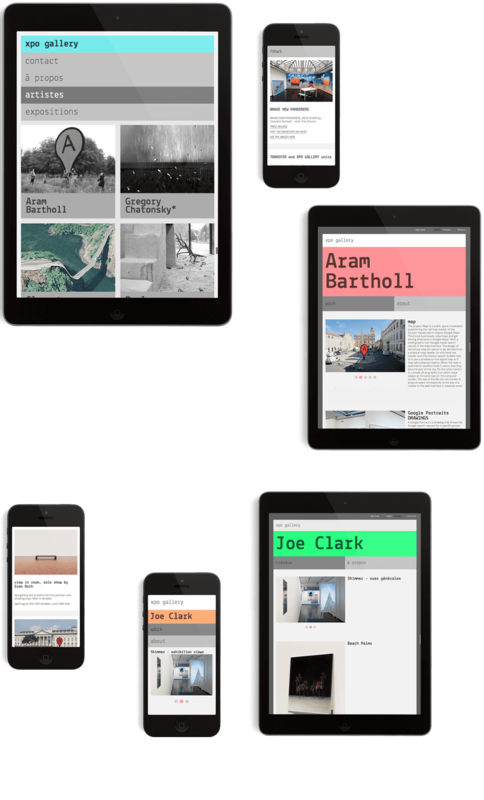 Xpo Gallery’s website is designed to stand apart from that of other contemporary art galleries, which leave little room for text and color. 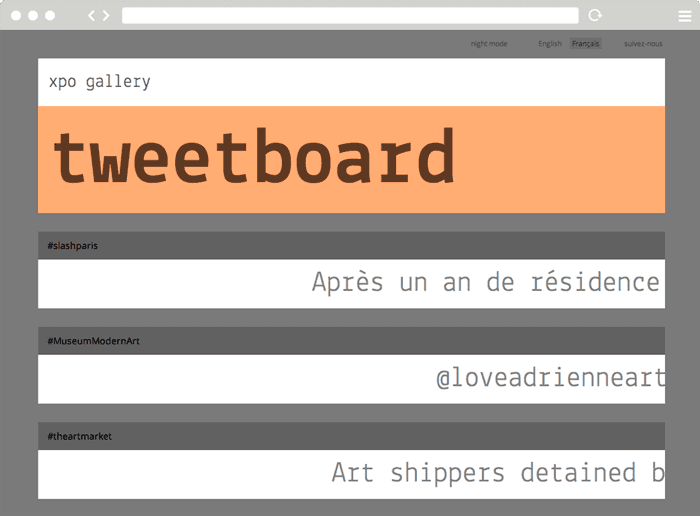 In line with the works exhibited in the gallery, a live-feed of the artists’ tweets appears on Tweetboard.